The way you season your food can mean the difference between a forgettable and an unforgettable meal. Chefs know this – they know no matter how much they perfect their cooking, it’s all useless if you don’t get the seasoning just right. That’s why they choose Chef’s Choice. Whether it’s Himalayan Rock Salt or Organic Black Peppercorns, you can be sure you’re getting only the best. Chef’s Choice seasoning will bring a touch of luxury to your cooking. It’s the seasoning that counts – Chef’s Choice seasoning, that is. 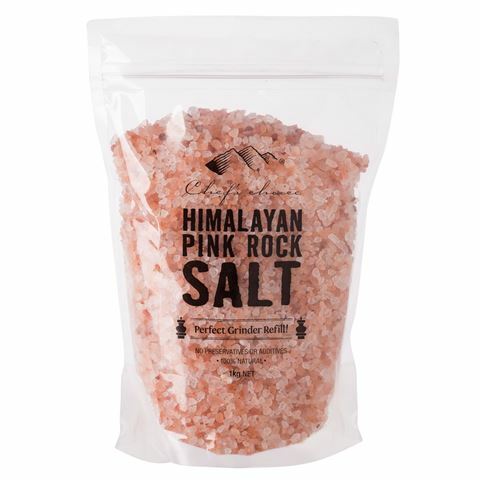 Perfect for refilling your Chef's Choice salt grinder.